Though political disputes could have been resolved politically without breaking human sentiments and emotions, but India and Pakistan could not do this during last 71 years. These political disputes have been made personal and resulted as loss of lives, of people, of soldiers and various kinds of misunderstandings, stereotypes and hatred that got developed in minds of people gradually on both sides. Though during all these years, many moments of solidarity, confidence measures and reconciliation also taken place including the most recent was opening of historic visa free Kartarpur corridor; however a sustained effort would be required for peace. Now, after 71 years, besides governments, many efforts have been done by people also to break stereotypes and to remove hatred. The most effective tool to do that is to let people meet without restrictions, though due to difficult visa regimes it is difficult. Initiatives like Aaghaz-e-Dosti started connecting school students through their classroom connect program via video conferencing and it resulted as another most effective way to let people meet. It is experienced that even those who believe that the other side is ‘enemy’ transformed when they talked with the so called ‘enemy’. Our ‘enemy’ imagination (in terms of India/Pakistan) is limited till we meet them somewhere and we start understanding them. In fact, it is probably values and legacy of this land of India and Pakistan that taught a lot about tolerance, love, peace and non-violence through its diversity of languages, religions, cultures, thoughts and through eminent personalities, reformists, spiritual leaders. In these ways, both countries actually share a lot in culture, legacy, heritage and sacrifice. This special connection can definitely be a ground of shared future and peaceful co-existence. Now, when both countries are 71 years old and majority of their population falls within range of 30 years, isn’t it a responsibility of our political leaders to take effective steps to resolve political disputes through political dialogues and meetings without any violence and hatred? We have seen many measures taken by governments in the granting of visa, boosting trade, start of bus and train services and these are effective mediums to believe that many more such steps would help more to people on both sides. When Imran Khan’s party won largest numbers of seats in elections in Pakistan and he in his speech claimed that for peace, he will move two steps if India will move one step; it was welcomed, shared by millions of people, mostly by youths in India. The same positive vibes had happened in Pakistan when Indian PM landed there as surprise visit to the then PM of Pakistan. We must see that how effectively such positive statements bring happiness among people. Who wants war? Now when Kartarpur corridor was agreed and inaugurated on both sides to facilitate visa free crossings, it is a historic step in India-Pakistan relations and welcomed by millions of Pakistanis and Indians who have hope that situation would improve someday. Similar positive environment and support was visible during Vajpayee-Musharraf time. Now, Vajpayee is no more but steps he had taken as CBMs are still relevant and working. Pakistan has shown a great solidarity through sending its official delegation to attend Vajpayee’s funeral. It was also a great move that few from cricket fraternity went to Pakistan to witness oath of Imran Khan. Such exchanges in recent times have shown scope that both nation-states may work closely to come out of despair and to pave a new path of mutual cooperation. We must really strive for betterment of facilities and of status of our people. We must seek removal of poverty, unemployment, social insecurity, illiteracy, high mortality rate, poor healthcare and pollution as these are the real challenges before both nations. We must strive to fulfill dreams of makers of our nations, desires of present generations and need of future generations to make our nations more equal, more just, more peace loving. 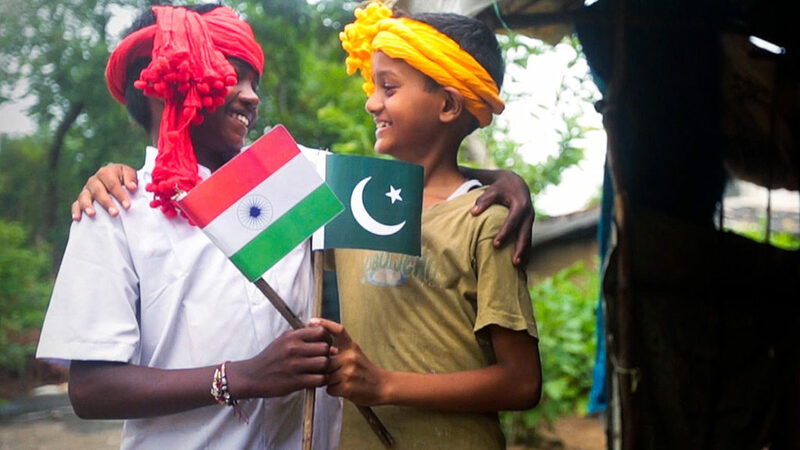 Can we dream and work together to make this sub-continent hatred free, violence free? Can we really promise it to our people? I believe that we can. Thinking is good, if matched with actions.